Person with a pendant alarm in the early 1980s. The ‘hub’ is on the shelf. 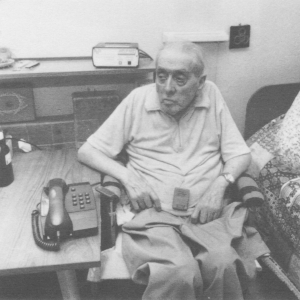 Source: Staying at home: Helping elderly people HMSO 1984. Author: Professor Anthea Tinker (To whom many thanks for the copy). 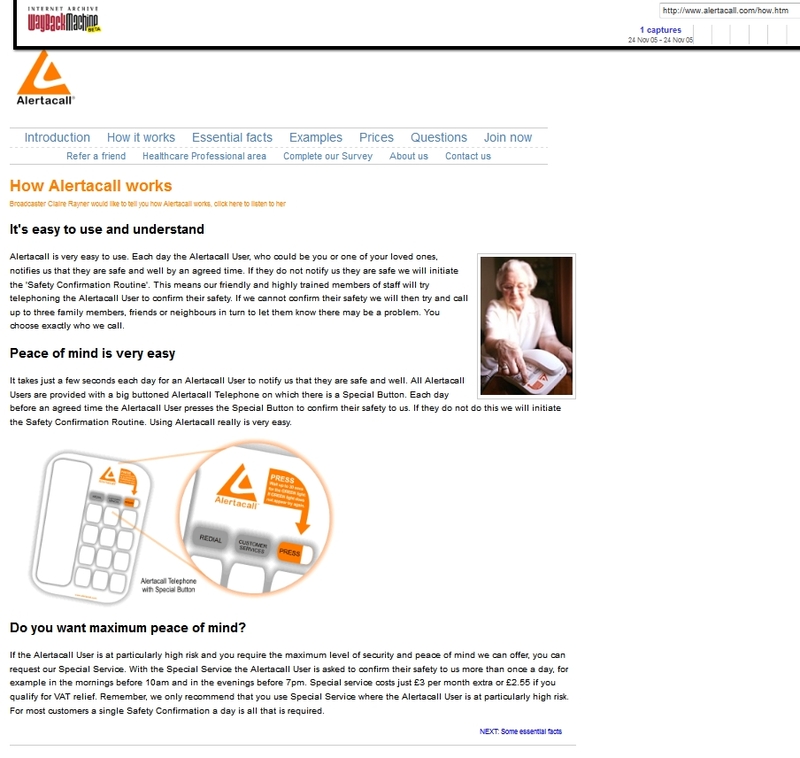 As far as we know this study was the first evaluation of housing options for older people that included costings and detailed information on various alarm systems. It was based on surveys for the Department of the Environment (DOE, as it was at the time) of all council housing departments in England and Wales in 1977. The research was undertaken between 1977 and1983 and the surveys had a 92% response rate and were followed by phone interviews. 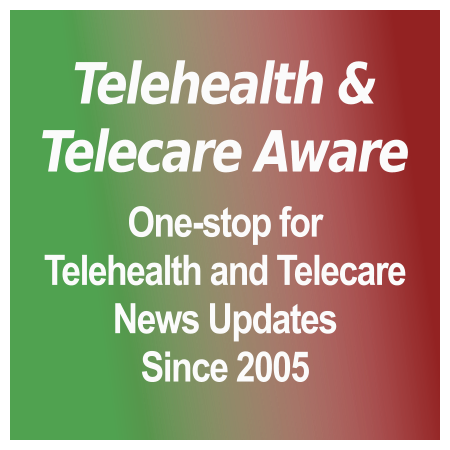 Telecare Soapbox: When will telehealth companies start generating income? Jacques von Speyer, CEO of US Tele-Medicine reflects on his recent experience of talking to industry leaders at the ATA conference. I was at the ATA conference a couple of weeks ago and found a certain commonality; no one is making money right now in telemedicine. Of all the device vendors, both the new ones from Korea, Taiwan, China, Israel, France and Switzerland, to the branded names like Intel, GE, AT&T, Bosch, Honeywell and the others, not one of them has produced an important single flow of income. 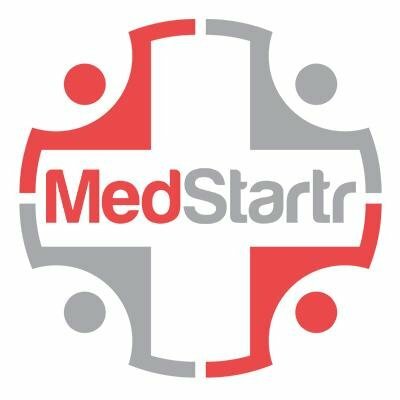 The entire industry seems to be waiting for some payor or another to step forward and be the first to implement a national system of sufficient proportions to kick start telemedicine in the USA. One difficulty to achieving that is the fact that US industries and governments are in abeyance until the election, and the prospect of redefining how someone approaches healthcare and its delivery, based on an uncertain economic indicators, is difficult. Entities are comfortable with the status-quo and after all, eventually, everyone seems to be receiving healthcare irrespective of cost or time involved. So where is the incentive to change? It appears that not even the inherent savings appropriated in most telemedicine programs is enough of a motivator to push telemedicine along in the USA. Basically we are all waiting for the ‘eventuality’ to take place, and it will. The challenge for most, however, is to stick around long enough to benefit from it. Report from Holyrood Conference’s 3rd Telehealthcare Summit in Glasgow this week gives a snapshot of the discussions and Scottish Government position. If readers who attended would like to submit other reports (or links to them) we will be happy to fill out the picture on this major Scottish event. Scotland seen as world leader in telehealth and telecare.